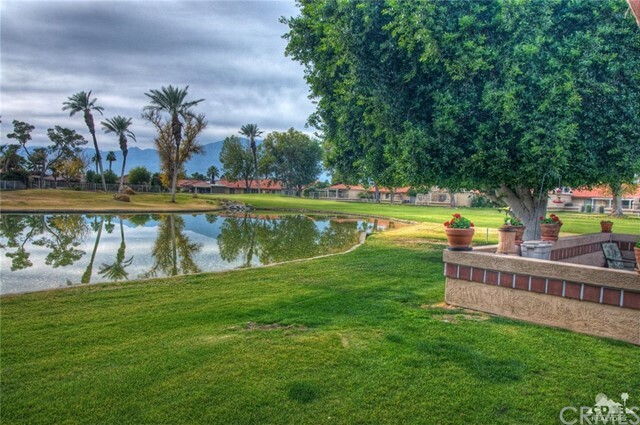 Premier lot with magnificent views. 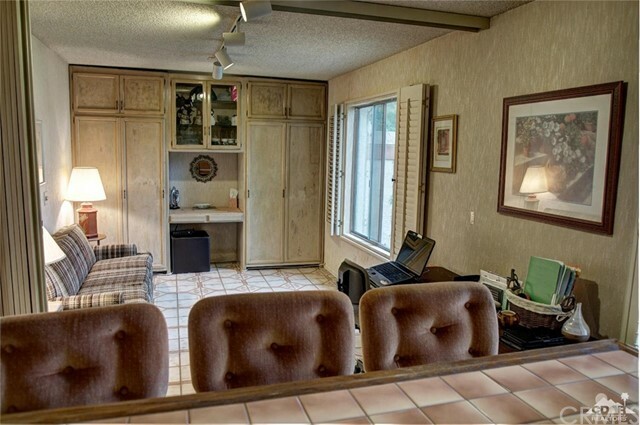 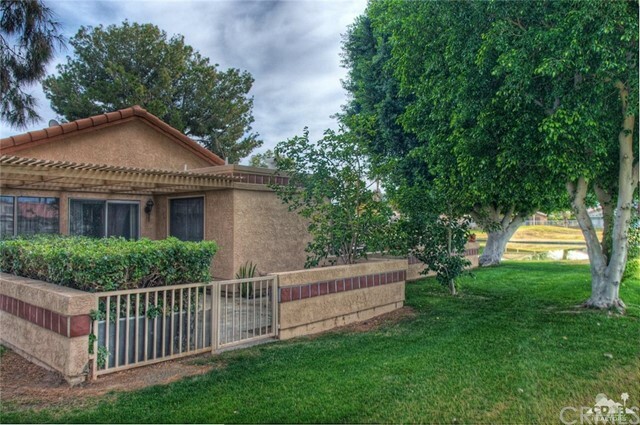 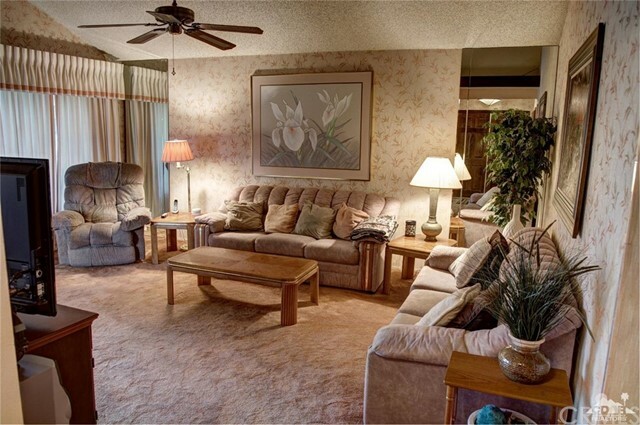 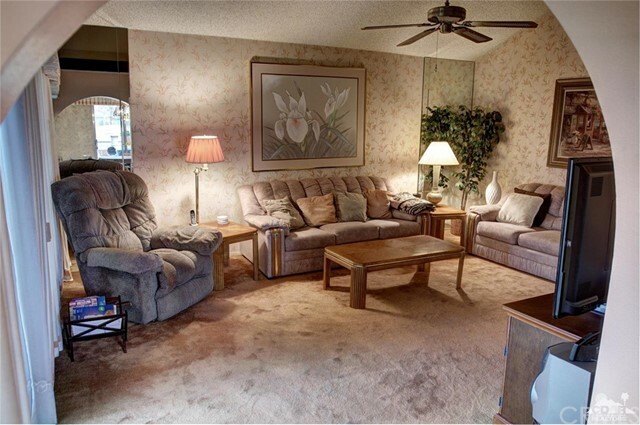 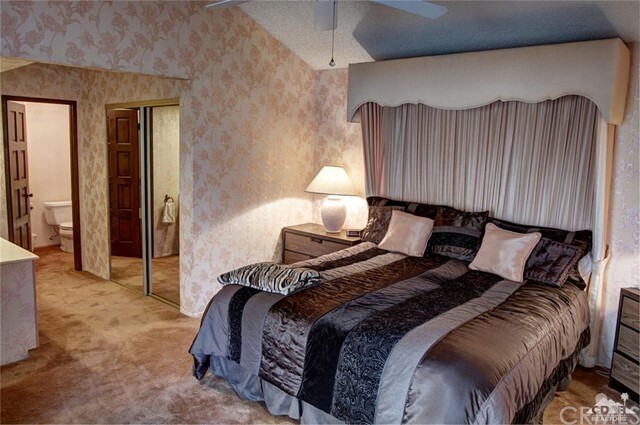 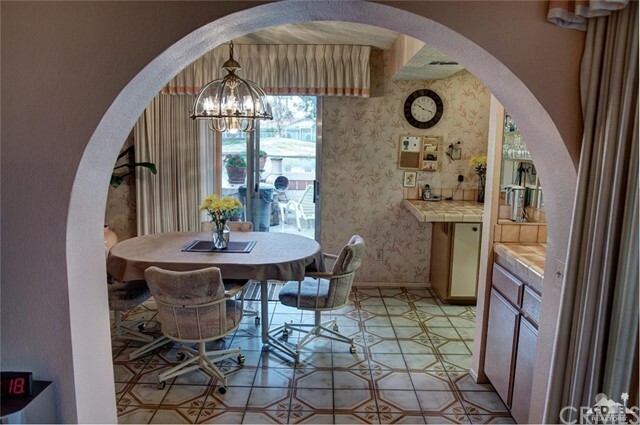 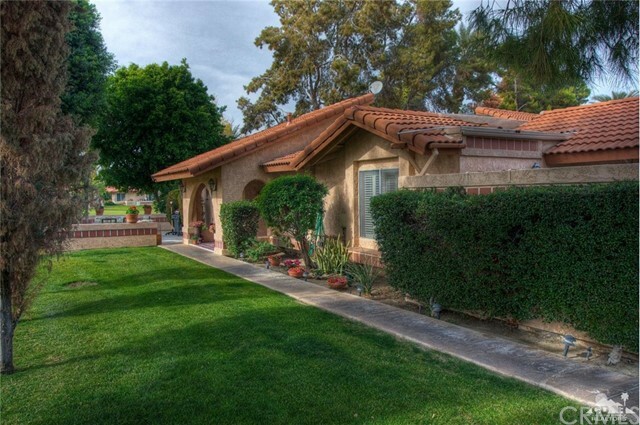 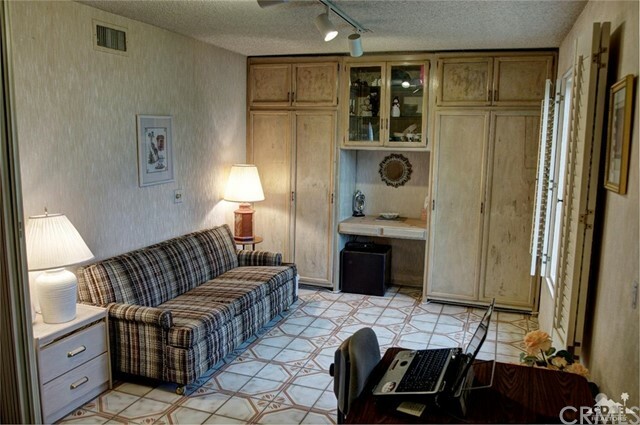 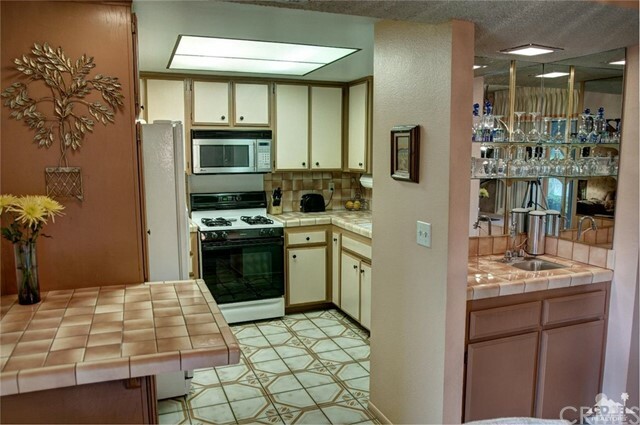 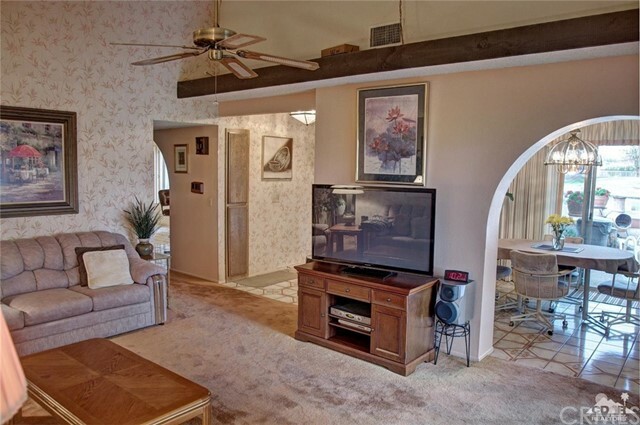 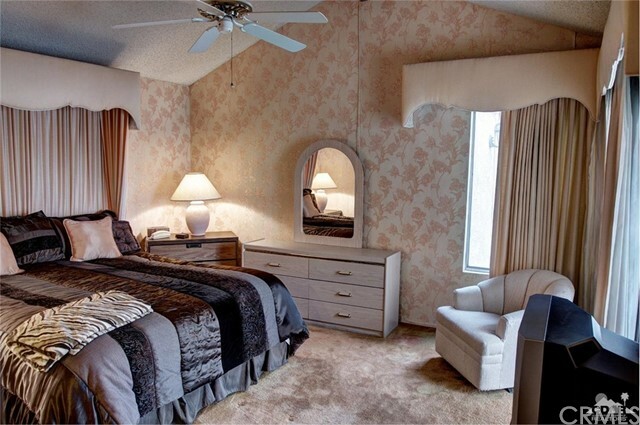 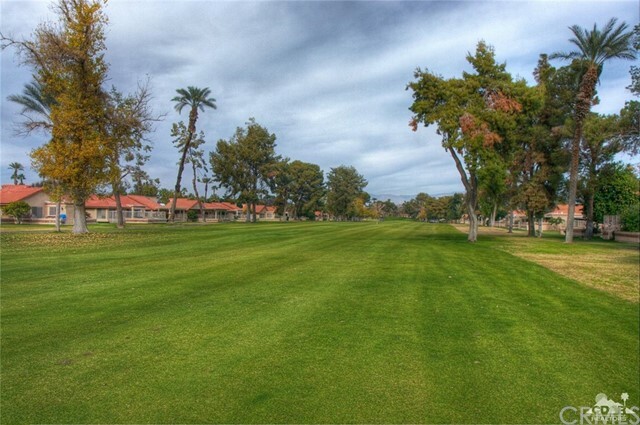 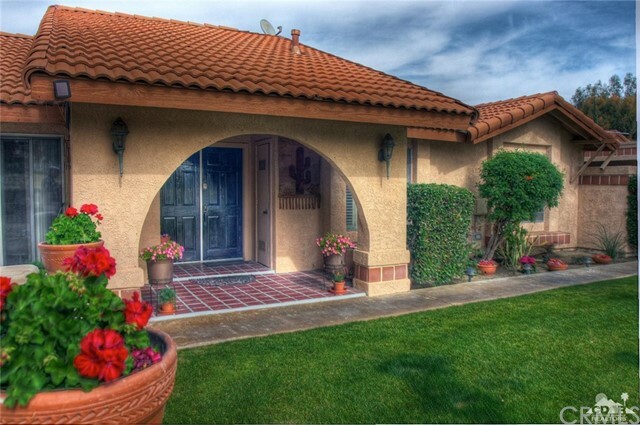 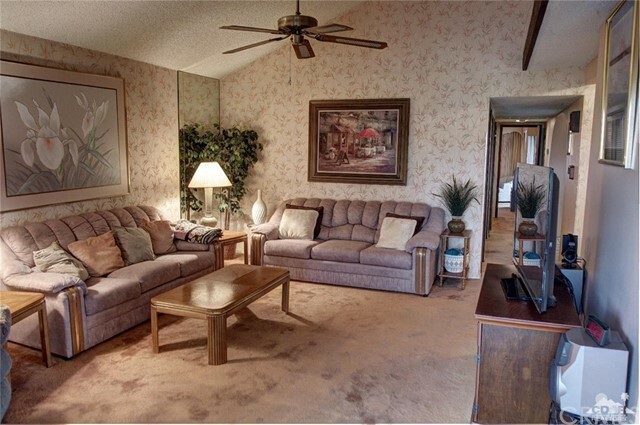 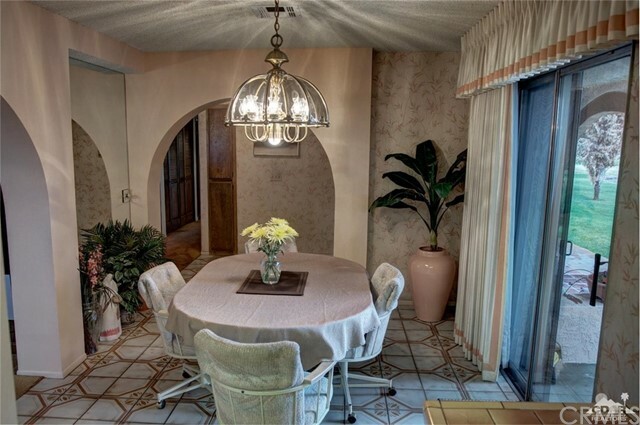 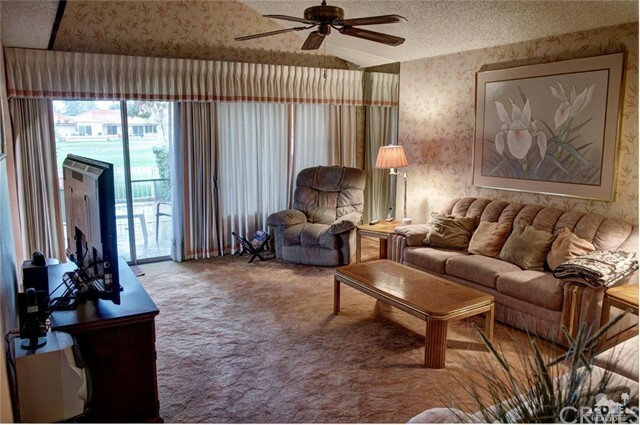 A 2-Bedroom 2-bath condo situated on a golf course. 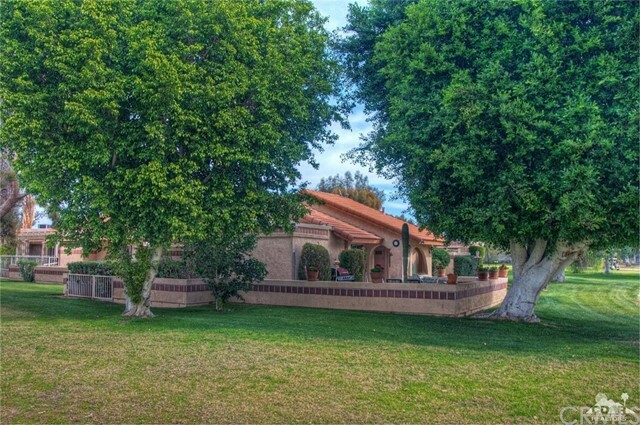 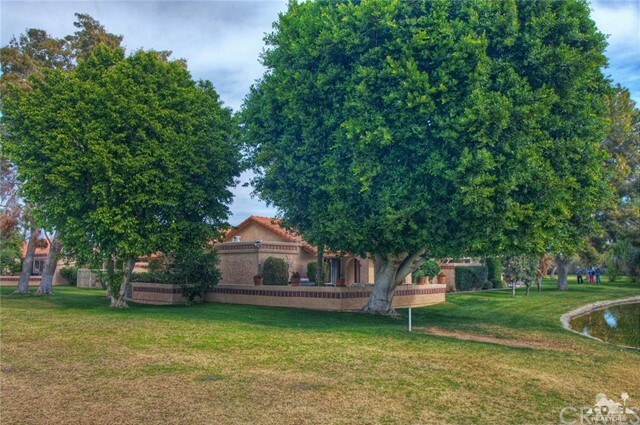 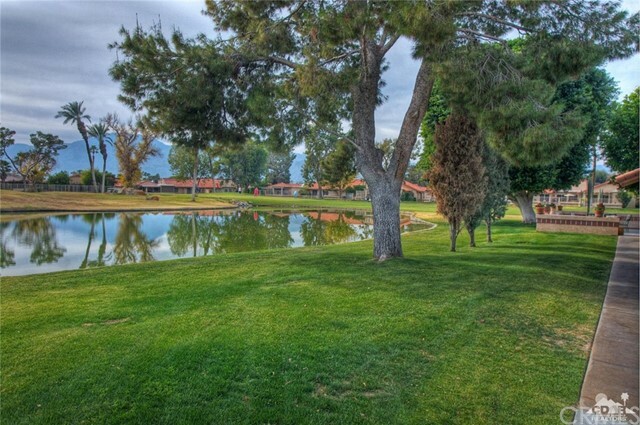 As an end unit enjoy views of Mountain 1 fairway and green, Mountain 2 tee box, a pond and greenbelt. 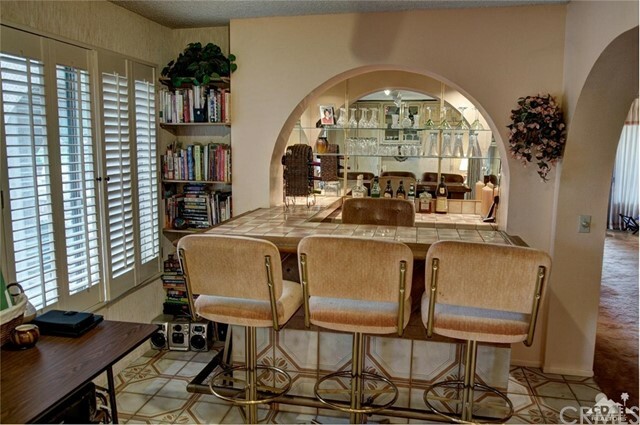 Extended patios allow for optimum views and entertaining. 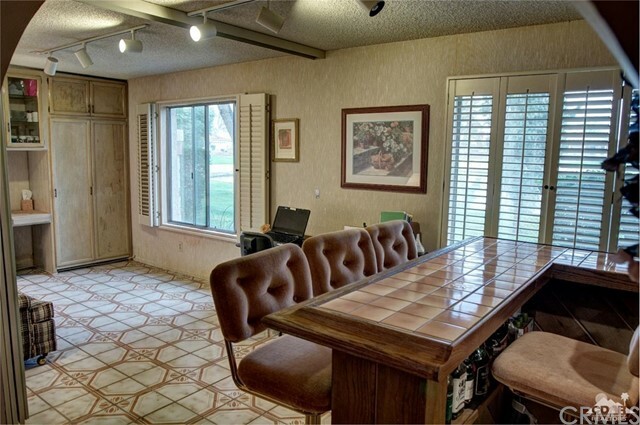 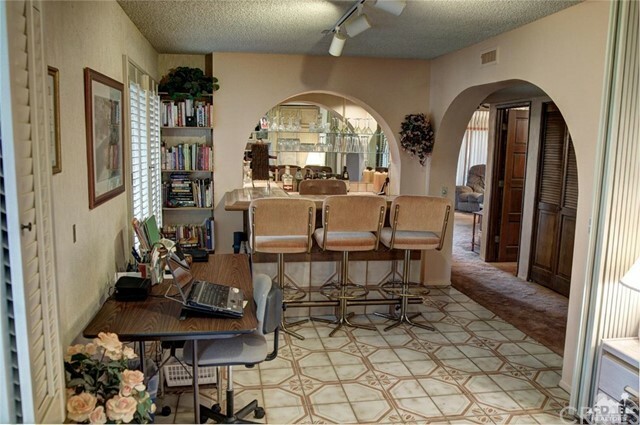 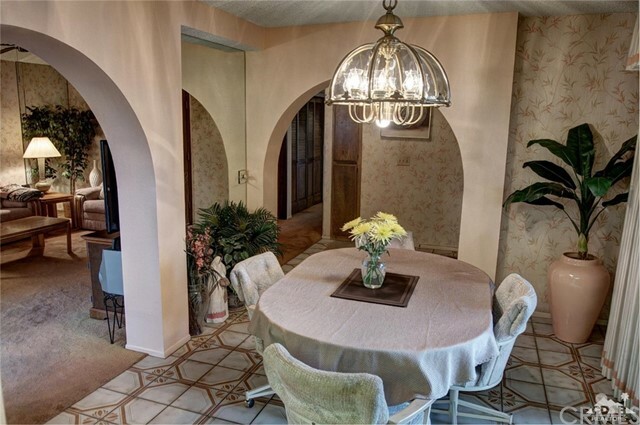 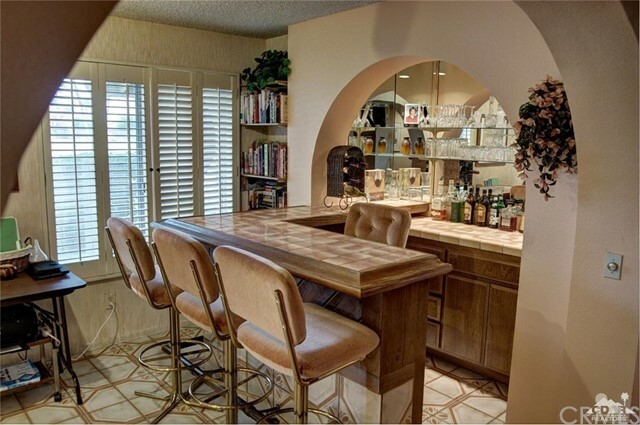 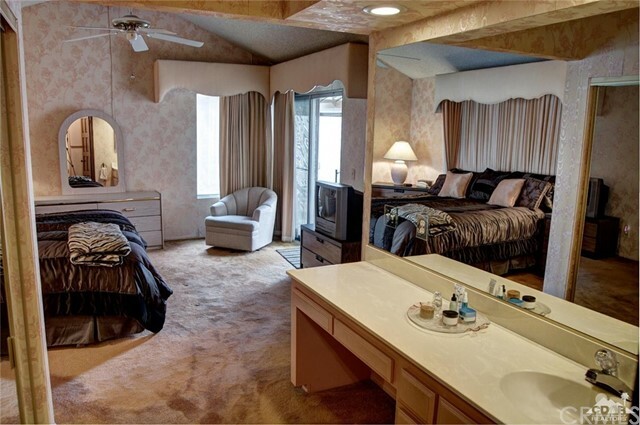 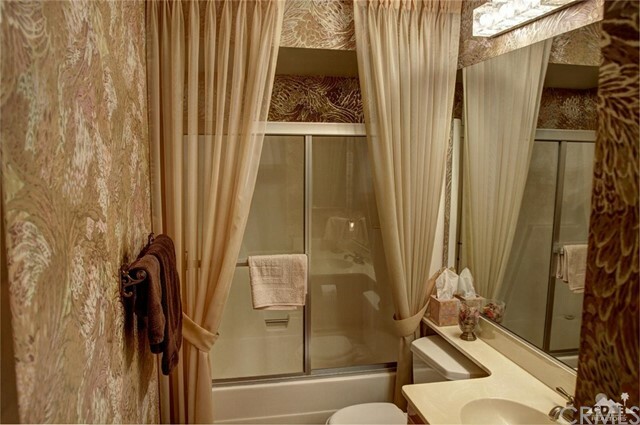 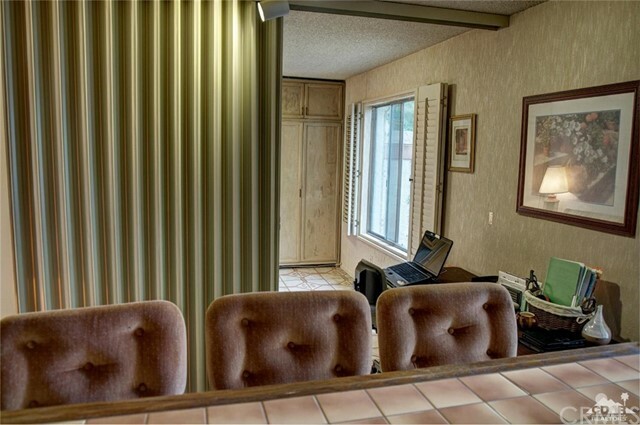 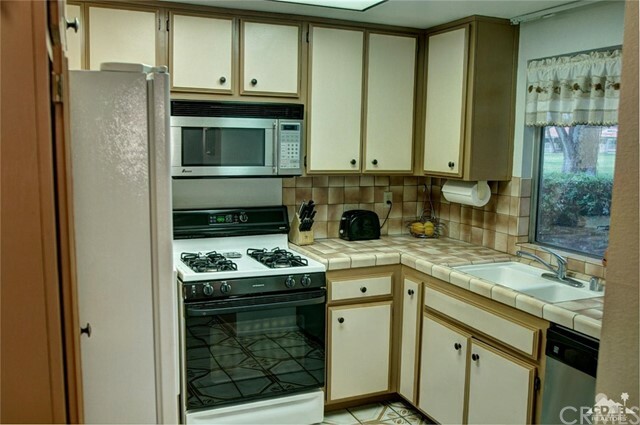 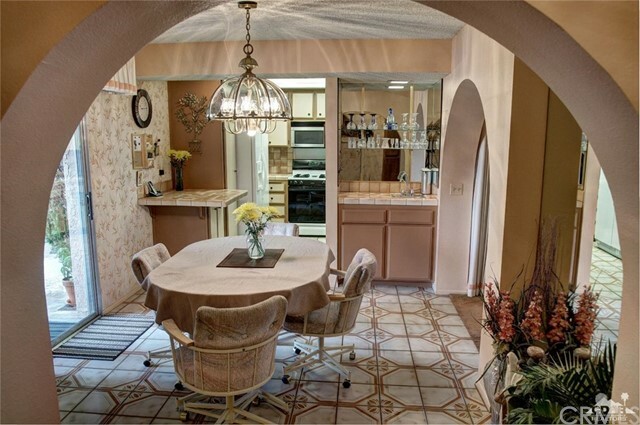 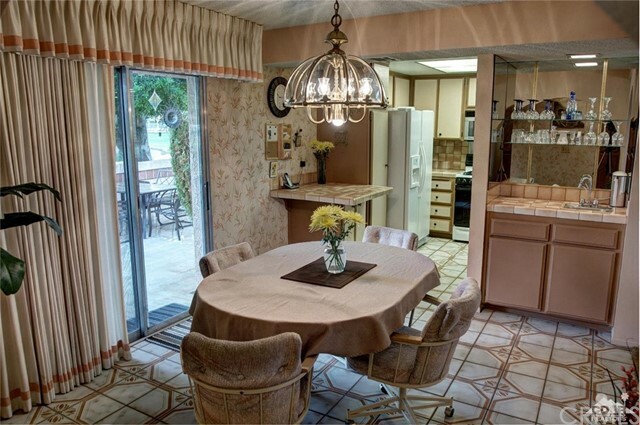 This condo is unique as two bedrooms were opened up to allow for a wet bar and entertaining. 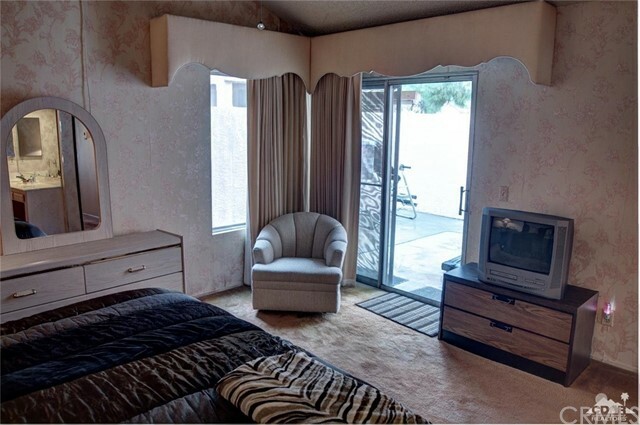 A folding wall can divide the room to give the second bedroom privacy. 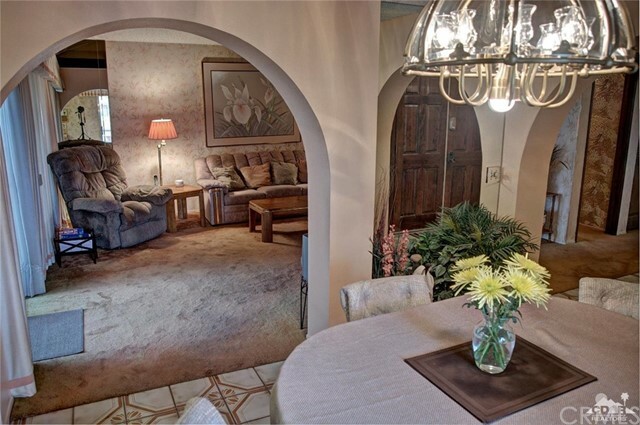 From the entry, move into the spacious living room or turn left to the dining room and kitchen. 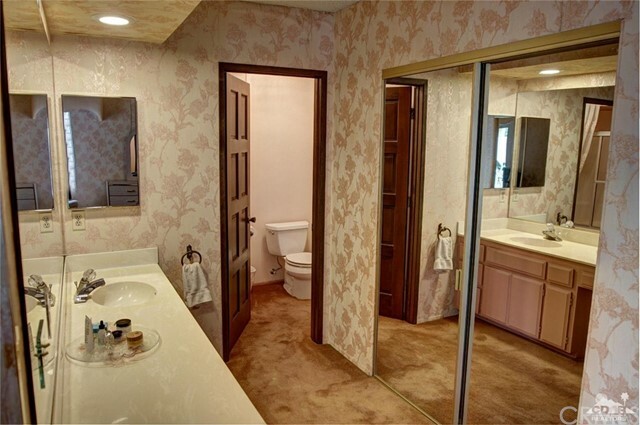 The master en-suite is roomy and opens to a private courtyard. 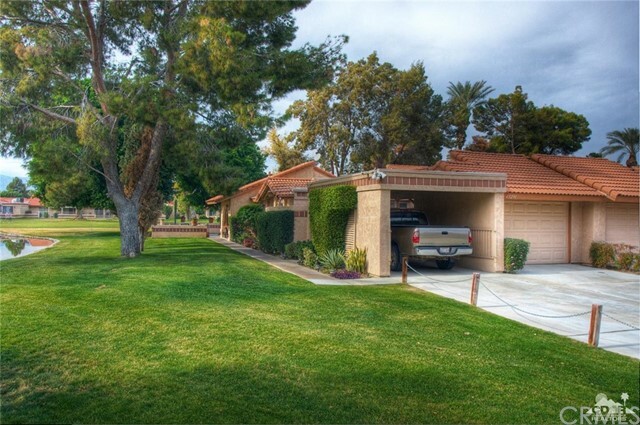 The single car garage has a golf cart area plus a carport. 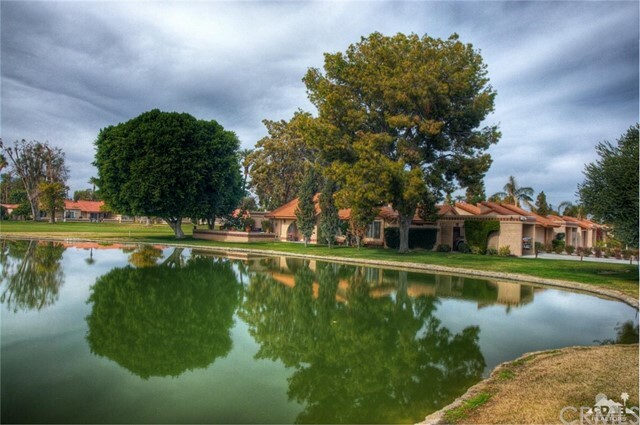 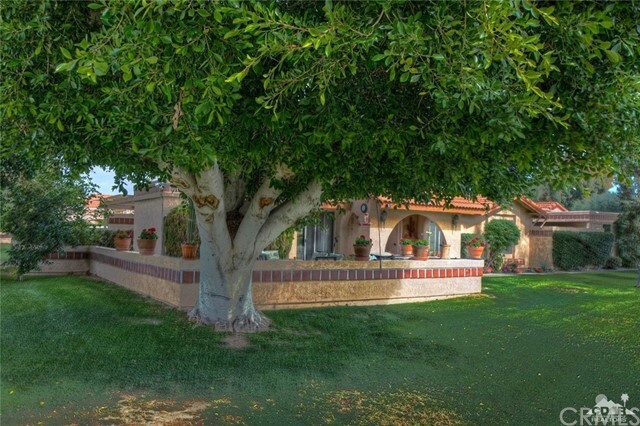 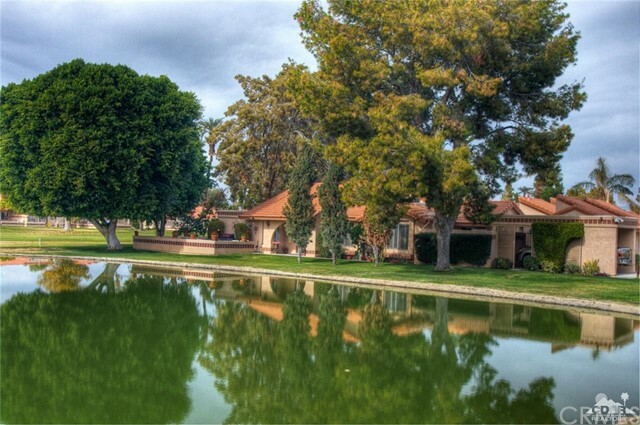 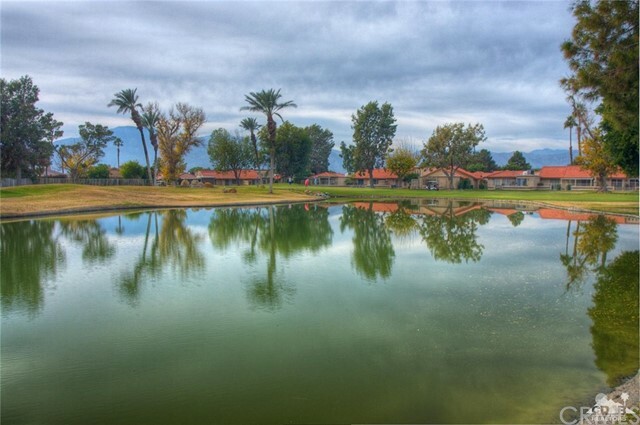 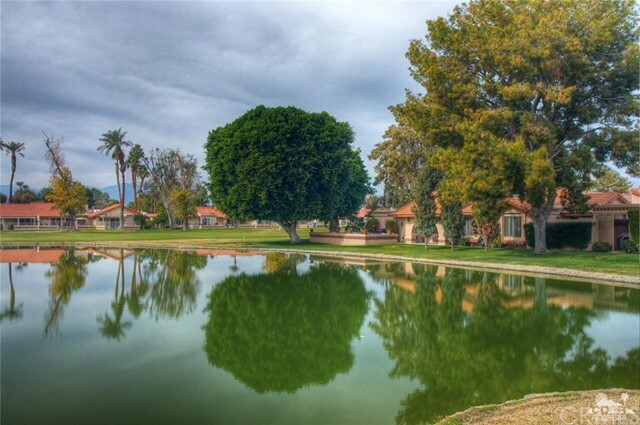 Indian Palms offers many amenities and is close to the polo grounds the home of famed Coachella Fest and Stagecoach festivals.